This review is about a binary options scam called the “Millionaire Dream”. It is presented by an anonymous Money Chris. This scam is really ridiculous. 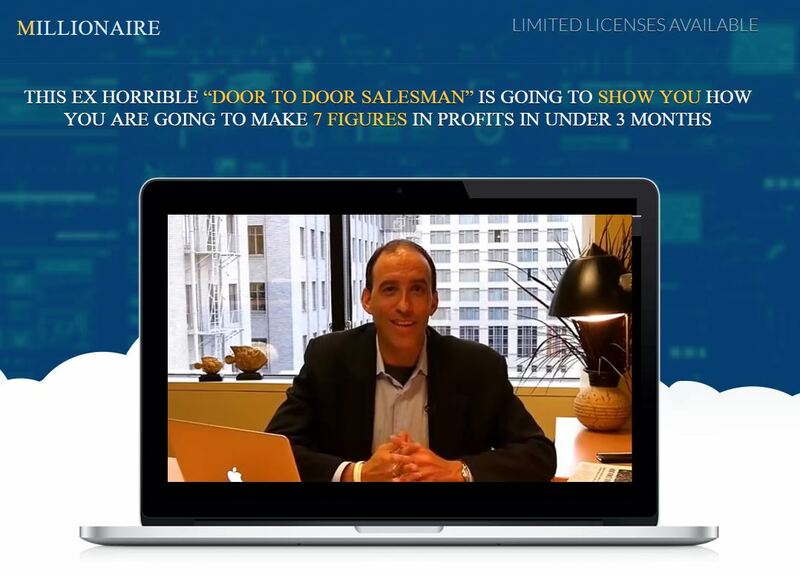 Chris made a video in his supposed office which should make you believe that he has an automated trading system that will make you Millionaire within three months. For free, of course! Does such a thing sound real or serious? Think about it. He will tell the usual lies about limited spots, but revisit his page any time and you’ll see that you can join any day you want, it will never be closed. The funny part comes with the supposed live demonstration of the trading system. 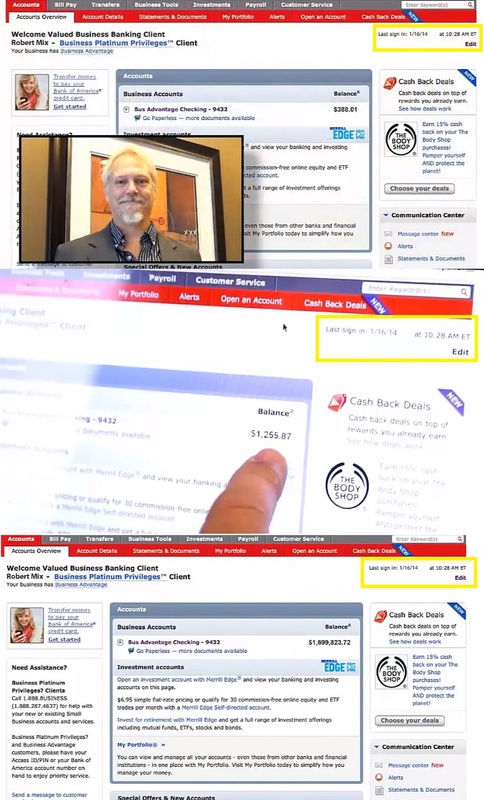 The biggest nonsense comes when Chris says that he connected the bank accounts of his students to the trading system and that they have to just push buttons to make profits. And when they make profits, they can see them immediately on their bank accounts. It is simply impossible. Because trading binary options works like this: first you have to open a trading account and deposit money into it. Which is by the way a thing that student James could not do with his negative balance. Then you can start trading binary options. But before you can withdraw you profits, you have to verify your identity with your broker by sending him some documents. Only then you can withdraw. But you have to submit a withdrawal request, it cannot be done automatically, and you will have to wait some time before it is processed by the broker. It usually takes a day or two. So you see, it is really not possible to get profits to your bank account in real time, there is a withdrawal process that takes time. It is one of the proofs that the Millionaire Dream system is a big scam. But we can give you some other proofs. Look at the images below. 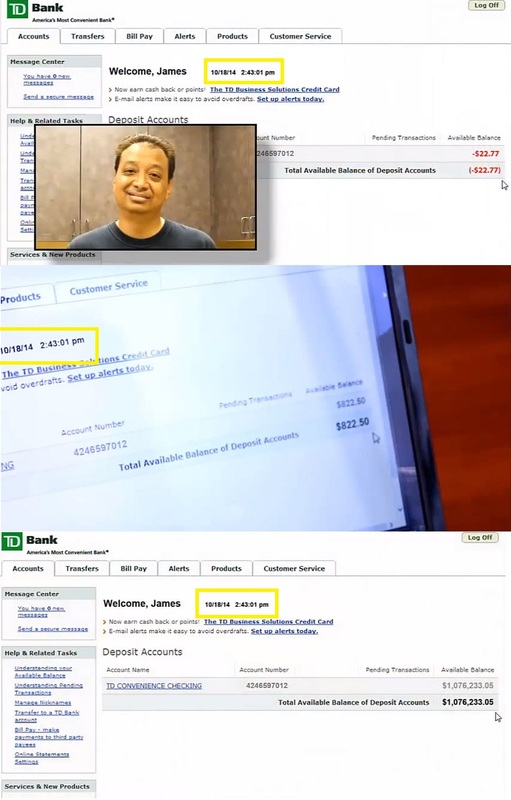 These are the screenshots from the student’s bank accounts that are shown in the video. Not only the dates differ by several months between James and Robert, but the dates shown by the banks do not change over time, only the balances are rewritten. So you can see that these bank account statements are fake. 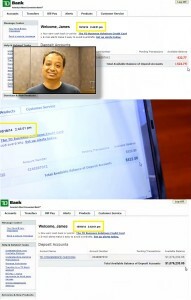 Proof of scam: over the time the dates on the bank accounts do not change. The reality is that Chris is an affiliate of binary options brokers. So he did his video to make you open a binary options account and deposit money into it, you will have to deposit at least $250. When you do that, he will earn a commission. What happens next does not matter to him. If you let an automated trading system trade your account, you will lose your deposit. This scam is now also being promoted with the simple title “Millionaire”, so beware! We repeat it each and every time, these free automated trading systems, like the Millionaire Dream that promise you huge money for free, are scams. The only way to make money on binary options is to learn and trade them yourself. There is no free money. If you are interested, you can try trading on a free demo. I got caught in one of these scams by a Binary team called OptionPrime. After reading their advertisement I got carried away and deposited $US 750.00 from my Credit Card and the next thing I knew they took out $US 300.00 more without my consent . That was since November 2014. After I realized my error as I am a senior and know absolutely nothing about Binary options I requested a return of my deposit and so far since 7 months ago they have denied the return of my money. I still keep asking them but so far I have not had a decent answer to my request. So I have lost a total of $US 1.050.00 . This is completely correct, I watched his video and watch how the so called ‘people’ reacted, this was not very realistic, it was plain from the start they has hired actors (not good ones either). Chris was the worst liar and his so called ‘story of being broke’ was something to behold. Like all trademen he gave you a time limit making you feel rushed and that you have to hurry or you will miss out, but as the review said, you can come back years after and he will still be there, same video, same liars. Money is something we most all earn with hard work and determination. Money does not grow on trees or skip into your account, so do not believe this as it is one big liar and another thing is that he now pays to advertise this on websites. If he was only giving this to his so called ‘only 7 people’ then why would he advertise it, instead he would send you a email to a secret website hidden from public. Don’t believe there is a easy way to get money, there isn’t, and if you hate your work so much you want to try this method, then you need to do something you enjoy and earn money, then you will feel like you don’t need this scam. Go out and enjoy life.